On Page Website Optimisation: Making Your Business More Visible To The Search Engines. Posted on 16th February 2012 at 11:22. Running a business, and running a business online are not one and the same thing. You may be the king of your local high street, but that doesn’t necessarily mean you’ll be able to use your proven marketing strategies in an online environment. Online marketing is a very specific science: every business has to make itself as visible as possible to search engines like Google if it wants to prosper. You want your company’s name known, and you want the likes of Google to flag up your name when browsers are searching for the type of products or services you sell. 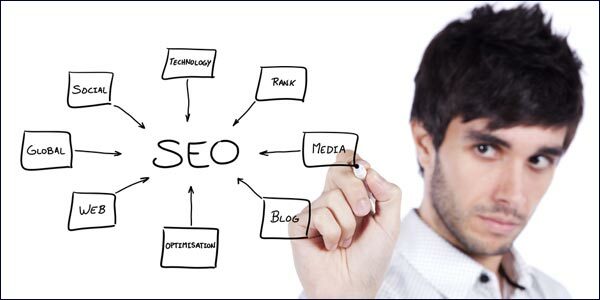 To get search engine visibility, companies need to make their websites search engine-friendly. In other words you’ll need to make your on page content as easy to index as possible. Now, there’s a wealth of information available to help you get the most of your website, but to be honest, a lot of it is either over-complicated or just simply confusing. On page optimisation is essentially pretty straightforward. All you need to do is concentrate on the basic factors like keywords, domain names and title tags, and you’ll be on the right track. So, let’s go back to basics and look at some of these on page optimisation techniques. When Google and the other search engines index their content, they do so with the user in mind. Their aim is to provide the most relevant search results for their browsers. Those websites that tick all the boxes will end up with a higher webpage ranking, and will therefore be far more likely to sell their products. It’s often said that visibility equals profitability. So any business that wants to receive a high webpage ranking will need to optimise its site to make it as attractive as possible to Google and the like: in other words, they’ll need to use on page search engine strategies to produce search engine-friendly content. Every business needs a coherent plan: it needs to know what it wants to achieve and how it intends to get there. Online business is no different. Search engine marketing relies on the targeting of relevant keywords. Keywords are absolutely crucial for online success. You’ll need to pick keywords that are relevant to your niche market, but you don’t want to be picking one which already has too much competition. Obviously this can be difficult, but it is possible none the less. Research is the key to success here. Think about the keyword you want to target, and think creatively. If you need help, then have a look at Google’s free keyword tool for some useful suggestions. Once you’ve decided on your keywords, then you’ll need to sprinkle them regularly throughout your content. However, don’t use them too liberally. Keyword-stuffed content doesn’t read well, and can be like a red flag to search engines. If you overdo the use of keywords, Google may class your webpage as spam. Ideally companies should include their keyword in their domain name, preferably at the beginning if that’s at all possible. As an example if your business is targeting organic vegetables, then the best possible domain name would be www.organicvegetables.co.uk. The problem is, these sort of domain names are incredibly popular and will already have been taken by some other business. So, you have to think outside the box, to use a rather unattractive buzz phrase. You can add another word or phrase to the domain so that it is something like www.greenerorganicveg.co.uk, or add a geographical location to identify your business like www.manchesterorganicveggies.co.uk. This tells Google what your web site is about, and where you’re located. The title tag is what is shown as the clickable link in the search engine results, and it is what displays in the top bar of your browser. The title tag should always include your keyword. Google places great significance on the title tag, and will use it to determine whether your page is relevant to a particular keyword. The title of a web page tells search engines what the page is about, so be sure each page title includes the most relevant keywords for that page. The page title appears in search results as the underlined blue link to the page. An attractive title with relevant keywords close to the beginning can entice people to click on it in search results. Search engines don’t use the Meta description to decide what a web page is about. They use it as the snippet that appears below the title in search results. That’s the bit that users see and read, so a persuasive Meta description and accurate title are like an advertisement for your webpage. It’s Official Panda Is Now Part And Parcel Of Google’s Standard Pipelines.40% Of The UK’s SMEs Have Adopted Social Media Marketing According To A New Survey.